2 New Trends for 2016! 2016 is coming closer, so we bring you two of the latest trends for the coming year. 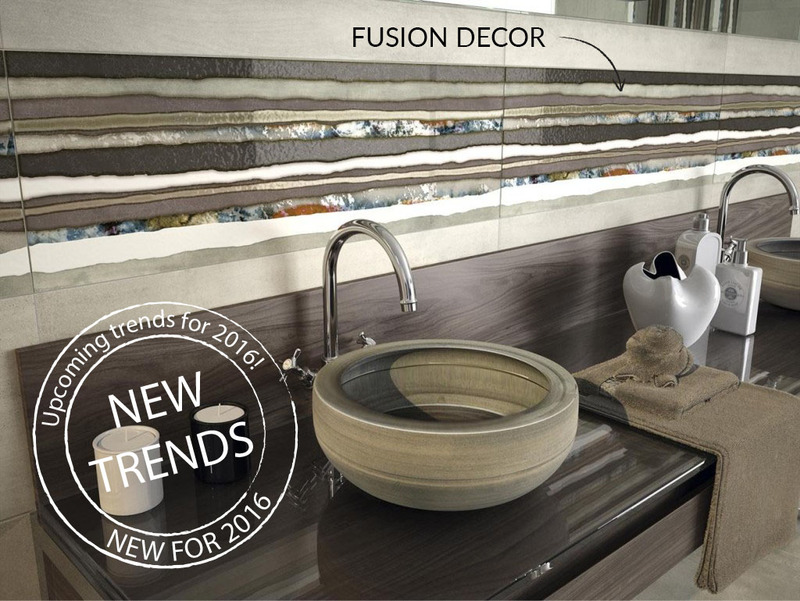 Below we are showcasing the Fusion Decor tile, a beautiful ceramic feature tile promoting modern, contemporary living. Complemented by the regular Fusion 30 x 90 tile, this creates a truly stylish bathroom. 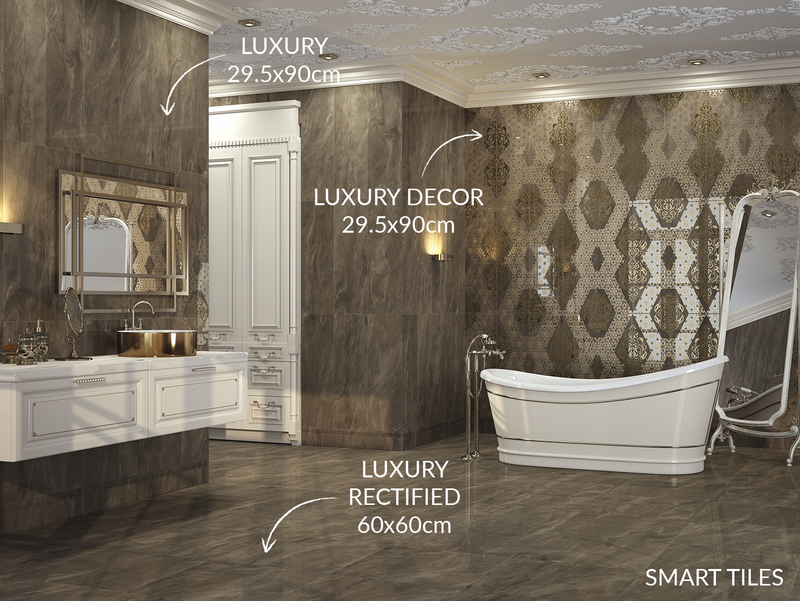 The Luxury Decor Tile. Classic silver and gold embossed tile showcasing 1920s inspired interior design. This collection of Luxury is complemented by a vintage, free-standing bath with gold effect taps creating warmth and clearly influencing our Pure Classic trend.